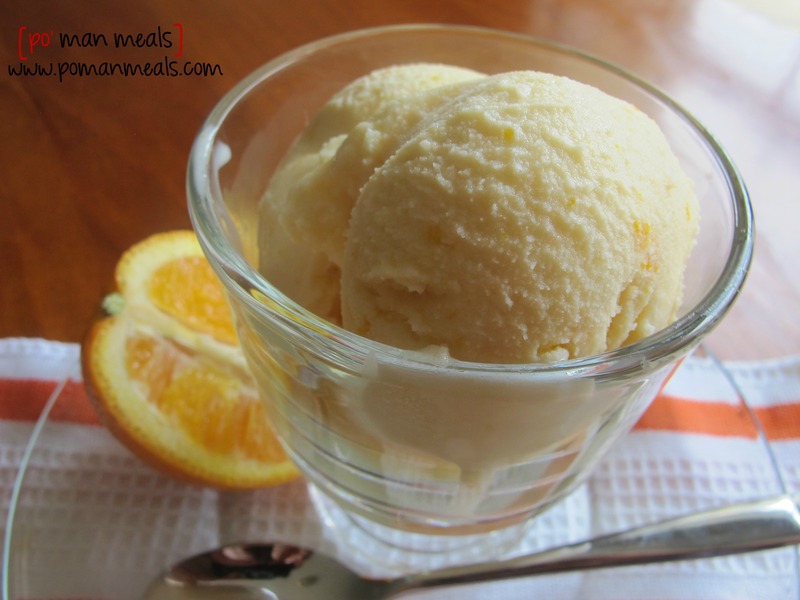 i'm a huge lover of orange sherbet and orange cream sickle ice cream. given that orange is not my flavor of choice, i am kinda surprised. anyway, my kids have recently fell in love with oranges. 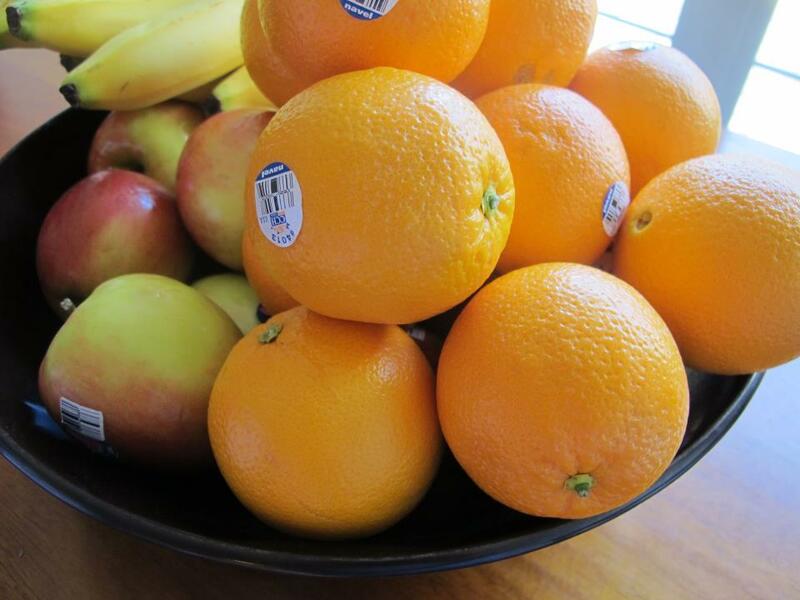 we always have some type of fruit in the house, mainly apples and bananas. one day recently, my girlfriend came to the house with a mass of oranges as a gift to us. the funny thing is at first, we left the oranges on top of the fridge. no one saw them. they were up there for a few days and i finally said, 'let's start thinking of a recipe that i can create with those oranges before they go bad'. so we brainstormed and the hubby comes up with orange sherbet. great idea! that night, i put all the oranges in the fruit bowl and the kids started eating them FAST. i had no idea they would love the oranges like that! so for this recipe, i had to make this recipe quick and in a hurry before all the oranges were gone. it was delicious, perfect for the beginning of spring. 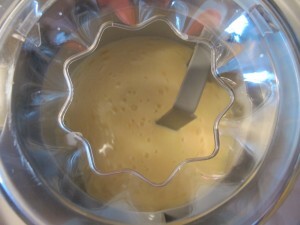 the ice-cream maker that i used for this recipe is found here . using a grater, zest about a tablespoon of the zest onto a cutting board. cut the rest of the oranges in half and squeeze the juice through a sieve, to catch the pulp. 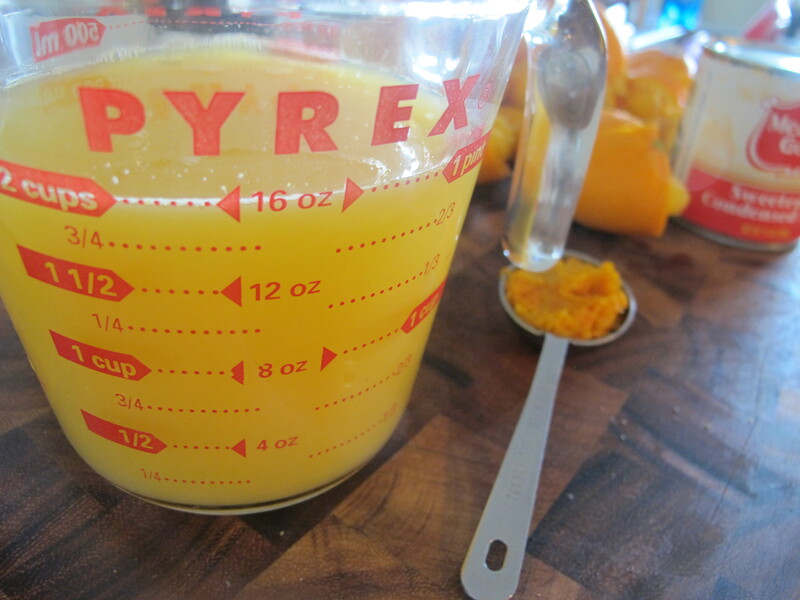 i used 16 navel oranges (which are smaller than a regular orange) to make 2 cups. 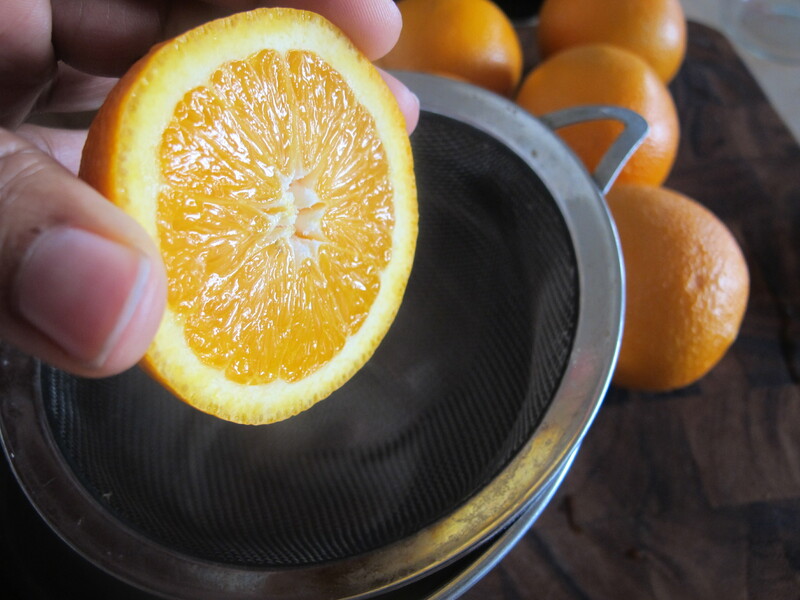 depending on the size of the oranges and amount of juice, you may use more or less. feel free to use 2 cups of store bought orange juice. pour the orange juice into a bowl and stir in the zest, lemon juice, sweetened condensed milk and salt. whisk until combined. place the mixture in a refrigerator until cold, at least an hour. 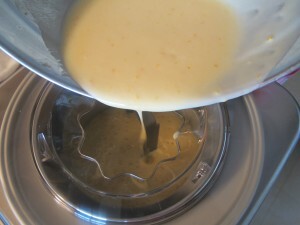 pour the orange sherbet mixture into the ice cream machine to churn according to the machine instructions. mine took about 25 minutes to achieve the soft serve consistency. 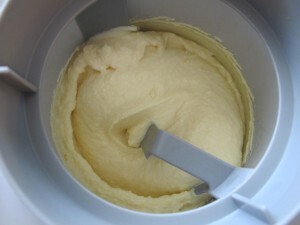 *according to my ice cream machine , i had to freeze the churning bowl for about 6 - 10 hours until frozen. check your manufacturer instructions before making your sherbet or ice cream. spoon the mixture into a freezer safe dish and place in the freezer until firm, about 2 - 3 hours. 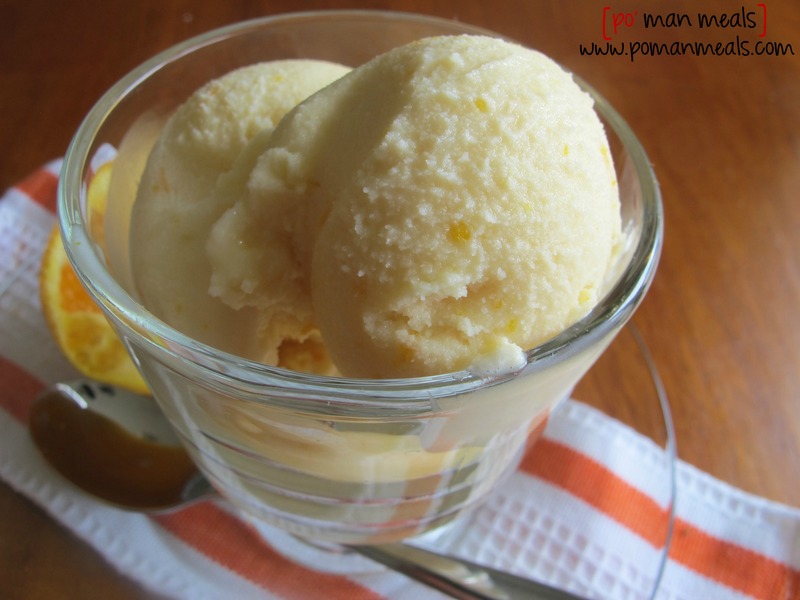 if i made this again, i would consider using heavy cream and sugar to sweeten the sherbet and make it creamy instead of the sweetened condensed milk. i honestly thought i was solving two problems at once. so, i used the condensed milk since it was sitting in my pantry. but after pricing out this recipe, the sweetened condensed milk could be expensive. using heavy cream and sugar would be much less. the same goes for the oranges. i used fresh juice because these oranges were a gift. 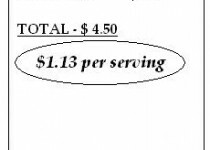 however, a bag of oranges can cost as much as $3.00 a bag and you would need 2 bags of oranges for this dessert. store bought orange juice is much cheaper and only $0.81. 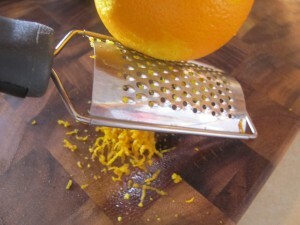 the orange zest absolutely intensifies the orange flavor. however, if you don't want flecks of orange zest throughout the sherbet, strain it after refrigerating or omit it all together. If you substitute cream and sugar for the sweetened condensed milk how much would you use? hi anita! i would probably use close to 2 cups of heavy cream or half and half, with one cup of sugar. you may want to add the sugar gradually though, so you will not over sweeten.